Are you thinking about homeschooling your children? 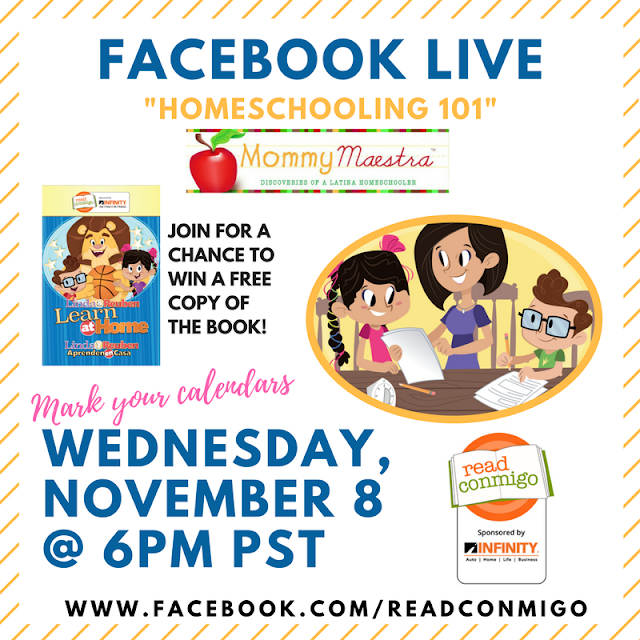 Do you have questions about how to get started homeschooling or where to find resources? Then I hope you'll join me tomorrow (Wednesday!) night at 6 pm PST/9 pm EST as I partner with Read Conmigo for a Facebook Live event. You'll even get a chance to win a free copy of my new children's book on homeschooling!